1972: The First team selected to represent Australian Schoolboys was selected from players within NSW (Queensland did not send players to the trials) and one Western Australian player, Chris Barugh from Balcutta High School, Perth. The players were under 16 years of age. The team toured Great Britain , played 11 games for 11 wins, scored 108 tries to 1 against. Future internationals Ian Schubert, Craig Young, Les Boyd, Royce Ayliffe were part of this team which provided many players for the then Sydney First Grade competition in years to come. Team member Brian Hetherington (also a State of Origin Rep) returned to Coach Australian Schoolboys in 1996 & 1997. Team members Robert Finch and Herb Rauter have since been proud parents of Australian Schoolboys representatives Brett Finch and Ben Rauter. The late Sam Davey, a teacher at Keira Boys High, the founding father of Australian Schoolboys Rugby League, was the Manager of this team. Roy Masters (Tamworth High School) and later to coach Western Suburbs and St. George was the coach of this team. 1978: The first official Australian Schoolboys Championships were held in 1978, but NSW Combined Catholic Colleges did not attend. A merit team was selected and included names such as Battese, Cochrane, Simpkins, Hardy and Hunt who went on to play regular grade football. 1979: In 1979 an Australian Schoolboys Rugby League team was selected to tour Great Britain and France. The team played 10 games including 2 tests against France and 1 against England, winning all games. Barry Gavin, one of the founding administrators from Queensland was the Tour Manager. Barry received an OAM for services to Schoolboys Rugby League in the 1997 honours list. Ray Montgomery (Forbes) and Alex Kolomeitz (Queensland) coached this team. This team also produced many outstanding Rugby League players of the future including Internationals Andrew Farrar and Ben Elias ; Mal Cochrane, Neil Hunt, Bill Kane, David Brooks, Ian Barkley, Tony Rampling, Jeff Case and Mark Ross. Glen Mortimer, the youngest of the Mortimer clan was also a tourist. 1981: In 1981 the Australian Schoolboys hosted a tour by New Zealand Junior Kiwis. 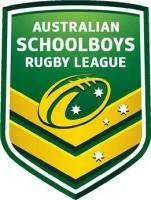 Two tests were played Australian Schoolboys winning both, 26-25 and 32-5. Bob McGuiness (former Western Suburbs stalwart) was part of the coaching staff in both 1981 and 1982. This team contained Ricki Walford, Ben Elias, Brett Gale, Mark Ellison, Mark Hohn and Phil Blake. 1982: In 1982 the Australian Schoolboys toured New Zealand playing 7 matches for 6 wins and 1 loss to an Auckland selection. Paul Langmack captained this team which included players such as Bronko Djura, Andrew Ettingshausen, Grant Rix, Scott Gale, Stephen Robinson and David Greene. Ettingshausen went on to represent Australia on many occasions. Australia won both Tests convincingly but lost their first ever game at Auckland. 1983: The 1983 team was a merit side but included some future internationals and outstanding Grade players such as Andrew Ettingshausen, Greg Alexander, Paul Sironen, Tony Butterfield , Jeff Hardy and Jason Alchin. In 1984, Australia hosted a tour by the British Upper Schools and Colleges (BUSCARLA). David Waite coached a team which won two tests 50 - 6 and 46 - 4 and included players such as Marc Glanville, David Boyd, Paul Martin, David Ronson, Paul Osbourne and Theo Anast (later to represent France in Tests). 1985: The 1985 Australian Schoolboys team played two tests in Australia against a touring New Zealand Junior Kiwis winning 40 - 6 and 12 - 0. Many of these players became regular first graders including Danny Crnkovich, Paul Martin, Tony Cossato, Terry Dollong and Bill Dunn. The late John Allen (Yass) who was instrumental in establishing schoolboys RL in ACT and also a past President of Australian Schoolboys RL was team manager. 1986: The 1986 Australian Schoolboys toured Great Britain continuing the great traditions of Schoolboys Rugby League. This side set a world youth record when it defeated Cumbria 86 - 0. The tourists played 7 matches winning 7 including two tests. David Waite coached a side which included future internationals Brad Clyde , Andrew Gee and players such as Tony Hearn, Scott Wilson, Michael Erickson, Craig Teevan and Mark Soden. 1987: The 1987 team was again a merit selection and played no games. Brad Clyde, Stephen Carter, Allan Cann, Craig Wilson, Tony Hearn and Kyle White were named in this side. 1988: In 1988, the Australian Schoolboys toured New Zealand winning all 5 games including two tests. Tim Brasher, Brett Horsnell (c), David Fairleigh, Jason Martin, Ian Herron and a young Brad Fittler were all to go on and represent at various levels in Rugby League. 1989: In 1989 the British Amateur Rugby League (B.A.R.L.A.) toured Australia. The Australian Schoolboys did not concede a point in winning both tests 48 - 0 in Newcastle before a crowd of 15 000 people and 12 - 0 at Seagulls Stadium . But when you look at the quality of the players it is easy to understand why. Future Australian captain Brad Fittler , Jason Taylor, Julian O'Neill, Jamie Ainscough and Jason Death formed the basis of an outstanding team. 1990: The 1990 squad initially a merit team , played one game against the Australian Youth/Development Squad winning 38 - 6. Rodney Howe, Glenn Grief, Josh Stuart and Tim Horan were part of this team. 1991: The 1991 Australian Schoolboys toured Great Britain playing 7 matches for 7 wins including two tests. Peter Sollis coached this side which included many outstanding current internationals and grade players. Michael Buettner captained this side and formed an outstanding centre pairing with Jamie Olejnik. 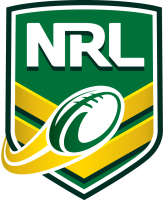 Ken Nagas , Tim Horan, Brett Grogan, Sean Ryan, Barry Elsegood, Damian Chapman, Sid Domic, Clinton O'Brien Josh Stuart, Carig Simon and Danny Williams also feature weekly in the NRL competition. 1992: The 1992 Australian Schoolboys toured New Zealand playing 4 games for 3 wins and its first loss in a Test. The New Zealand side contained Gene Ngamu, Joe Vagana, Will Poching and Ruben Wiki . The Australian Schoolboys contained some outstanding representatives such as Steven Menzies, Robbie Ross, John Driscoll, Nathan Barnes, Robert Mears, Matthew Seers and Nick Graham. 1993: The 1993 Australian Schoolboys hosted BARLA and played two tests winning 24 -12 in Parkes and 15 - 8 at Seagulls. For the Australians Anthony Mundine, Adam Ritson, Solomon Haumono, Wayne Evans, Ben Walker, Tonie Carroll, Brendon Reeves and Phil Howlett have all established themselves at the highest levels of Rugby League. 1994: In 1994 the Australian Schoolboys played two tests against New Zealand Junior Kiwis winning at Parkes 56 - 30 and losing at Redcliffe 18 - 10. The Australian Schoolboys team contained a 15 year old Owen Craigie (who represented a record three years 1994/5/6) Brett Kimmorley, Ben Ikin, Luke Priddis, Russell Richardson, Jason Ferris, Dean Raper and Michael Withers. 1995: The 1995 Australian Schoolboys toured France and Great Britain playing 7 games for 7 wins. They defeated France 44-16 and 46-12 as well as BARLA 62 -2 and 42 - 2.This team has produced some of our future internationals, with some already playing State of Origin and establishing themselves as regular NRL first team players. Trent Barrett, Owen Craigie, Matthew Gidley, David Atkins, Nathan Cayless, Royston Lightning, Duncan McGillivray ( first International schoolboys from NT), Andrew McFadden, Shane Walker and Kevin McGuinness. Lance Thompson was selected in both 1994 and 1995 but withdrew through injury on both occassions. 1996: The 1996 Australian Schoolboys was selected to tour NZ but because of the ARL/ Super League conflict this tour was cancelled and the Team toured PNG instead. This team was coached by former Australian Schoolboys Representative Brian Hetherington. They played 4 games for 4 wins. From this side we saw the emergence of Mark McLinden, Todd Payten, Tony Puletua and Rhys Wesser. Owen Craigie completed his record 3rd Tour whilst Royston Lightning and Nathan Cayless backed up after a successful 1995 tour of GB. Ben Rauter, whose father Herb toured with the original Australian Schoolboys in 1972, became the first to emulate his father. 1997: The 1997 Australian schoolboys played two tests against BARLA winning 50 - 0 in Port Macquarie and 54 - 2 in Wynnum- Manly. Brian Hetherington again coached the side which was captained by an outstanding Mark McLinden. Already in 1998 Mark, Luke Patten and Casey Maguire have played first grade football, whilst players such as Lenny Beckett (who scored a record 5 tries in the first test), Troy Thompson and Michael Hodgson appear destined for great things. 1998: The 1998 Australian schoolboys toured New Zealand four games for three wins. They played two tests against the New Zealand Schoolboys winning 30-12 and 42-6. The side lost a close encounter against an invitational side 22-26. Thes side was coached by Mark Greer from the ACT. Terry Martin, Mark Gasnier, Lenny Beckett, Luke Branigan and Mark Riddle revealed that they were destined to become stars of the future. The 1999 Australian schoolboys toured France, Ireland and England in what was a very arduous tour. Coached once again by Mark Greer the team was confronted with the challenge of playing the Young Lions, a team comprising of players identified by the professional clubs, for the first time. Despite not really knowing anything about their opposition and a team that was well prepared, the Australian schoolboys withstood the challenge and won both test matches. This team once again bristled with talent and names sure to become well known in the near future. Luke Branigan, Mark Gasnier, Corey Parker, Jamie Lyon and Justin Hodges just to name a few. 2001: The 2001 Australian schoolboys played against the touring British Academy and French schoolboys sides. This was the first time that either side had toured Australia and both tours were highly successful. The French side was the first schools side to every tour Australia and the tour was a great success, The Australian side won the test match at Kogarah Oval, Sydney, in convincing fashion 64-4 but the beginnings of an ongoing exchange was well and truly established. The British Academy presented a huge challenge to the Australian team but after a close first Test 18-12, the Australians convincingly won the second Test 44-22 at the Sydney Football Stadium. Coached by Michael McEntyre the side contained a number of future stars including Greg Bird, Ashley Alberts, Brett Seymour and Michael Weyman. 2002: The 2002 Australian schoolboys embarked on a tour of England and France in what promised to be our greatest challenge. The team was to play Test matches against the BARLA Young Lions and the British Rugby League Academy. The tour concluded with Test matches against the French schools and French national sides. The team performed strongly against the BARLA sides and won all three Test matches. The two Test series against the British Academy sides were great matches and despite the Australians great efforts against such strong and well drilled opposition were defeated in a test series for the first time. The players were able to regroup from this position and won both test matches in France to finish the tour on a highly successful note. This tour signalled the changing opposition that future Australian schoolboy teams will play and the impact of the professionalism being embraced by other notions. Players such as Michael Weyman, Stephen Goodhew, Liam Fulton and Tom Learoyd led from the front and played with great distinction. 2003: The 2003 Australian schoolboys toured New Zealand and were coached by Rod Patison from Palm Beach Currumbin SHS and an original 1972 Australian schoolboy. The team played two test matches against the Junior Kiwis and one test against the New Zealand Schools team. After winning the first Test in Auckland 14 -4 the Australian were unlucky to lose the second test against the Junior Kiwis 12 -8. The team defeated the New Zealand Schools team 30-22 in a one-off Test held in Palmerston. 2004: The 2004 Australian Schoolboys were coached by Rod Patison from Palm Beach Currumbin SHS in his second year as coach. The team undertook an arduous program that included playing three touring international teams. The first game against BARLA was won convincingly 62 points to 12. The second game was agianst the touring French schools team and resulted in a 50 - 20 victory for the Australian team. The final game was a one-off Test match against the England academy team. In an absorbing struggle the English team ran out 33 - 24 victors. 2005: The 2005 Australian schoolboys were coached by Simon Huntly from Kildare Senior High school, Wagga Wagga. The team played two test matches against the touring Junior Kiwis. The team won the first Test in Melbourne 42-24. The Junior Kiwis won the second Test played at Wynnum Manly convincingly 46 points to 8. 2006: The 2006 Australian Schoolboys coached by Simon Huntly, in his second year, undertook the challenge of playing Wales, England and France on home soil. The challenge to win back the title of World Champions was paramount in the goals of the tour for players and officials alike. The team played outstanding football and unearthed new champions of the future in going through the tour undefeated. The two Test matches against the England Academy were very competitive matches and the outcome in both were in doubt until the end. The team regrouped after the emotion of the winning the Test series in England to defeat a very committed and challenging French opponents. 2007: The 2007 Australian Schoolboys undertook the challenge of playing the New Zealand Under 18's in a two test match series played in New Zealand. Once again coached by Simon Huntly the team approached the challenge of defeating New Zealand at home and carry on the success of the 2006 team. Previous matches between the two nations had resulted in drawn series since 1992 and the 2007 team was determined to reestablish the Australian Schoolboys as world champions. After a warm up game against an Auckland Development team the team was well prepared for the two test match series. After a tight first 60 minutes the Australian Schoolboys won the first test 40 points to 20, scoring three late tries to run out convincing winners. In the Second test played at Rotorua International Stadium the stage was set for a titanic struggle as each team played to their potential. It was not until the 30th minute of the first half that Australia scored the first try of the match to establish a 6 points to nil halftime lead. In the second half Australia raced away to an 18 point lead before the Kiwis hit back with two tries in three minutes. The final result was a 24-12 victory for the Australian boys and continue the tradition of excellence by the Australian schoolboys. 2008: The centenary year for rugby league in Australia saw the Australian Schoolboys obtain permission to play in the original Australian colours of maroon and blue. The team coached by Brendan Barlow undertook the challenge of playing our two northern hemisphere opponents – England Academy and France. The first Test against the England Academy was played at Dairy Farmers Stadium, Townsville. This was the first time a schoolboys test was played in the far north. The game was played in front of a very supportive crowd and the Australian boys responded in a very positive fashion running out convincing 68 -6 winners. The second test was played at Kougari Oval, Wynnum and was a much closer game. It took a clever individual try late in the game to give the Australians a 17 – 10 victory and win the series 2 nil. The French team played the Australian Schoolboys in a one off test match at Kougari Oval and after a tight start to the match the Australians ran out convincing winners 40 – 6. 2009: In 2009 Australian Schoolboys hosted the first visit by the Great Britain Community Lions to Australia. The first match was played at Bruce Stadium, Canberra and was the first time that a schoolboys test had been held in the nation’s capital. In front of a very enthusiastic local crowd the Australian Schoolboys played electrifying football to convincingly win the game 66 points to nil. The second test played at Sty Marys, Sydney, was a much tighter affair and a final scoreline of 60 – 18. 2010: After assembling at the AIS, the 2010 Australian Schoolboys undertook the challenge of a lengthy tour of Wales, England and France. The boys enjoyed sightseeing in London before proceeding to Cardiff for the first tour game against Wales under 18s at Caerphilly, won 56 – 4 by the Aussies. The team moved base for the now traditional stay at Howarth, Yorkshire. The second game was against the England Community Lions at Big Fella Stadium, Featherstone. This was another chance to blow out the cobwebs, and the Australians won 56 – 6. At this stage snow and cold started to affect the Tour. The party moved to St Bees in Cumbria to prepare for the next game against the Great Britain Community Lions at Barrow, but the severity of the weather meant that this game had to be abandoned. The weather limited chances to train – grass fields were closed - and management worked hard to try to find alternative training venues, some of which involved considerable travel. The venue for the First International had to be changed, as did our accommodation. The First International against the England Academy was a tight affair which the English dominated early, with the assistance of a generous flow of penalties. The Australians reduced their error rate to come back with a chance to win the game, but the English finished the stronger to win 38 – 30. The Second International was also played at Leigh Centurions Stadium, as practically the only playable venue. Once again the English were highly organised, fast and tough in defence, and earned their 34 – 22 victory. The Tour moved on to France where we had a memorable stay in Toulouse. The first game against France Under 18s was played in a spirited manner at Villeneuve sur Lot. The Australians played impressively in patches to run out 56 – 12 winners. The second game against a strong France Under 19s team at Toulouse was the best performance of the tour by the Australians, who won 46 – 18. Educational tours to Carcassonne, Andorra and Paris completed a memorable tour. 2011: The 2011 Australian Schoolboys were coached by former Australian Schoolboy player, Peter Denham,in its two match tour of New Zealand. After a short preparation the team left for New Zealand confident but aware of the challenge of playing the Kiwis on their home turf. The First International was played at Bruce Pulman Oval, Papakura, Auckland, on Sunday 2 October. The weather conditions were a challenge of the Australian team as they struggled to cope with the rainy and windy conditions. In a very close match the New Zealand side celebrated a great 28-26 win, despite a fast finishing Australian side. An injury to centre Pat Mata'utia saw Richard Kennar from Craigieburn Secondary College come the first Combined Affiliated States player and Victorian to be selected for the Australian Schoolboys. The second International was played in much more favourable conditions at Bruce Pulman Oval and after a slow start the Australian Schoolboys ran out 40- 16 winners and tie the series one all. The series was played in excellent spirit and both sides represented their nations with great pride. 2012: The 2012 Australian Schoolboys played the strong touring England Academy team. Again coached by Peter Denham the team prepared to regain the world youth championship title on home soil. The first international was played at Bruce Stadium, Canberra, home of the Canberra Raiders. Played after the Canberra Raiders home game the conditions were particularly chilly with a kick off time of 4.30 pm. The start of the game was a physical encounter but the Australian side was able to withstand the early battles and established a strong 24-6 lead by halftime. The second half began in a similar fashion as the first but after a bit of mitchell Moses magic the Australians were able to run out convincing 41-10 victors. The second international was played in contrasting conditions at Kougari Oval, Wynnum, Queensland. Once again after a very physical start to Australians were able to establish a good 24-6 lead at halftime. The second half was again willing but the confidence of the Australians was evident as they ran out convincing 40- 14 winners. 2013: The 2013 Australian Schoolboys team returned to New Zealand to play the New Zealand Resident 18 Years team. The First international was played at Toll Stadium Whangarei, in particularly wintry conditions and combined with the ferocity of the exchanges a number of handling errors resulted. After and even start the New Zealand side took advantage of errors and were able to establish a 16-8 lead at halftime. The Australian team came back early in the second half and established an 18-16 lead. However the Kiwis were able to regroup and score a try to set up a tense closing to the game. However, the Aussies were unable to score again and the New Zealand side ran out 20-18 winners. The second international was played at Bert Henham Park , Otahu. The Australians began strongly and were keen to level the series. Played in warm conditions the Australian team established a strong 28-6 halftime lead. However never to be underestimated the Kiwis came back strongly and closed the gap to 28-22 midway through the second half. The Australians scored again to lead 32-22 before the Kiwis scored to make the final score 32-28. 2014: The Australian Schoolboys toured England and France and played seven games on the tour. Coached by Brian Battese the team undertook the challenge to maintain the great history of the Australian schoolboys. The first game was against a Combined Regional Academy side at Workington and in a very strong performance the Aussie boys won 86-6. The second game was a sterner test by the Wigan Academy and in a bruising encounter the Australian team won 36-18. In the final game before the first Test the team played the Leeds Academy at Headingley. In a very good performance the Australian maintained their winning ways with a 38-24 victory. In the First Test against the England Academy, the Australian raced away to a 16 -4 halftime lead but in a very committed second half the English side came back and in a very close encounter the Australian side won 22-18. The Second Test the English side started very confidently and led from the first minute. The Australian side settled biut trailed 10-8 at halftime in avery competitive game. However, in the second half the composure of the Engalnd side came to the fore and they ran out 28-14 winners. The first game in France was played at Perpignan and after running out to an early lead the Australian team was challenged in the second half by a very committed and enthusiastic French team. The Australian eventually ran out 30-20 winners. The final game of the tour was played against the French 18 side at Toulouse. In a very polished display the Australians ran out 40-4 winners. 2015: The 2015 Australian Schoolboys team played a two Test series against the touring New Zealand 18s team. Coached again by Brian Battese the 2015 team continued the excellence of previous Australian teams both on and off the field. The First Test was played as a part of the Intrust Super Queensland Cup Final Day at Suncorp Stadium. The Australian boys certainly enjoyed the occasion and after a tense first half displayed their attacking prowess and ran out 70 - 24 convincing winners by the end of the firts half. The Second Test was played at Kougari Oval, Wynnum and in a much more competitive game the Australian boys maintained their winning run,with a final scoreline of 30 points to 6. 2016: The 2016 Australian Schoolboys team played a two test series against the touring Engaland Academy team. After a short turn around from the national championships the team assembled in Queensland and prepared for the challenge of the visiting English team. The First Test was played at Dolphin Oval, Redcliffe as a curtain raiser for their Intrust Super Queensland competition. In front of a very supportive crowd, the Australian side eventually ran out 50-26 winners. The second Test was played at Southern Cross Group Stadium, Wooloware, Sydney as a part of the Cronulla Sharks v Canberra Raiders NRL match Day program. Again, the Australians displayed excellent teamwork and were able to be even more dominant and seal the series with a 50-12 victory. 2017: The 2017 Australian Schoolboys team returned to New Zealand to play the New Zealand Resident 18 Years team. The First international was played at Rotorua, in terrible conditions and combined with the ferocity of the exchanges the game was a very close affair. The score at half time was 18-0 to the schoolboys after making a statement early on in the game and scoring three tries. To the New Zealand teams credit they controlled the game well in the second half and they pinned the schoolboys in their own half. After defending their own line for seven consecutive sets the schoolboys prevailed 26-16. The second international was played at Mt Smart Stadium in Auckland. The Australians began strongly and continued to be dominant throughout the game. The Australian team established a strong halftime lead and cotinued in the same fashion in the second half to run out comprehensive winners 40-8. 2018: The Australian Schoolboys toured England and played five games on the tour. Coached by Tony Adam the team were very well prepared and resourced to undertake the ever increasing challenge of taking on the England Academy on their home soid and continue to maintain the great history of the Australian schoolboys. The first game was against a England Colleges Team at Gateshead in Newcastle and in a very strong performance the Aussie boys won 92 - 0 setting a new record winning margin for Australian Schoolboys teams. The second game was a sterner test against the Yorkshire Academy and in a bruising encounter the Australian team won 30 - 22. In the final game before the first Test the team played the Lancashire Academy in Manchester. In another stern test and great preparation game for what was looming as a very big challenge against the England Academy the Australian team maintained their winning ways with a 30 - 18 victory. As was predicted the tests against the England Academy side were very physical encounters and the Australian Schoolboys found themselves on the wrong side of the scoreboard in both games, losing the first test 14 - 8 and the second test 18 - 6.